The Utah Senate wants Congress to let state legislatures elect U.S. senators. Should U.S. senators represent the people, or should they represent state governments? That's the question Utah lawmakers are asking as they consider a resolution asking Congress to repeal the 17th Amendment. Before 1913, U.S. senators were chosen by state legislatures, rather than by a popular vote. But Congress, as well as a majority of state legislatures, voted to change that original process, establishing the 17th Amendment, which turned over that power directly to the citizens. 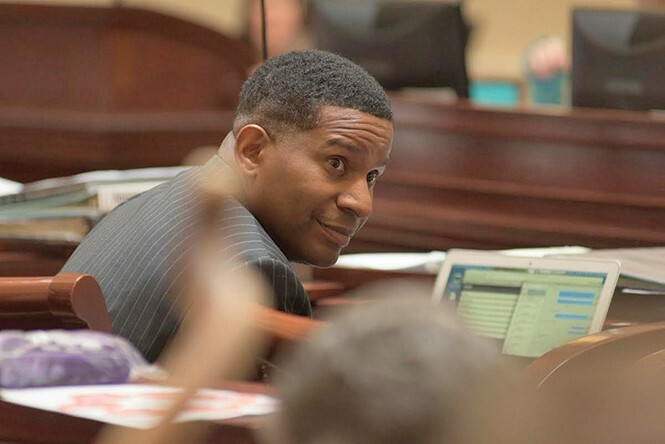 "When you're subject to the popular vote," Sen. Al Jackson, R-Highland, the author of Senate Joint Resolution 2, tells City Weekly, "and you have to answer to the people, you've got to raise money to run for office, and probably the majority of the money you raise comes from out of the state, where do you think your loyalties are going to lie? Your state basically becomes a constituent, instead of your primary responsibility." Jackson says he believes that nine out of 10 Utah lawmakers feel that the U.S. Senate is not representing the will of state governments, because over the past century after the change went into effect, the U.S. Senate has either passed laws states don't agree with—such as the Affordable Care Act—or has refused to pass laws giving state governments total control over their individual student curriculums. "The system is broken," Jackson says, and U.S. senators are now beholden to special interests and lobbyists, rather than to state legislatures. While few people would disagree with Jackson's assessment that special interests, lobbyists, and big money hold far too much sway with Congress, his proposal is certainly raising a few eyebrows as opponents point out what the U.S. Senate looked like before it became beholden to a vote by the people. The election of senators by state legislators became fraught with a number of problems. First, because senators were elected by a small body of people (as opposed to the entire population of a state), corruption became a factor. Several elections of U.S. senators were actually voided due to allegations of senators bribing state legislators with money or promises, as was the case in Montana in 1900. In all, 10 different elections were called into question, leaving the Senate hampered by distrust of the people. Additionally, there were instances of partisan deadlock in state legislatures, leaving many states unrepresented for lengthy periods of time while lawmakers bickered over their selections. The most egregious example was Delaware, which had no representation in the Senate for four years from 1899 to 1903. Utah itself deadlocked twice shortly after being admitted as a state, in both 1897 and 1899. Jackson says he doesn't believe those old issues would be a problem today. "It was only a few states," he says. "But that doesn't mean all of a sudden you get rid of something that works. You work within your state to fix it. People say I'm trying to take away their vote, but I'm not, because [the people] voted for their state legislators. And if they don't appoint the right senator, then you get rid of them." Jackson acknowledges that State legislators don't always follow the will of the people. "But that's where it becomes incumbent on the people to rise up and say 'enough,' and change enough of their state legislature to get those [who] will elect the senator the people want," he says. Jackson says his bill isn't aimed at any senator in particular. "They're great; they're all good and well-intentioned people. But they're operating within a flawed system. When I worked in Washington, D.C., as a lobbyist, I had more access to the senators than you do because of the power of the purse and because we would write campaign checks." When asked if it would be better to try to pass a bill banning all lobbyist contributions, Jackson says, "We could do that, but then how do you run an election? It costs money to pay for ads and things like that. But the bottom line is that senators were not intended to be involved in the popular issues of the day; they were meant to protect states' rights. And it's the House that is supposed to be the one closer to the people." Jackson's bill passed the full Senate and, carried by Rep. Ken Ivory, R-West Jordan, passed the House committee. On Wednesday, March 2, the full House passed the 17th amendment repeal bill by a vote of 39-34. Editor's note: In addition to covering state politics for City Weekly, Eric Ethington is communications director for Political Research Associates.